Coin Ceremony and MSC Grandiosa Steel Cutting Ceremony! September 15 became a milestone in the MSC Cruises history. Yesterday, the company’s groundbreaking MSC Bellissima finally got her coin. 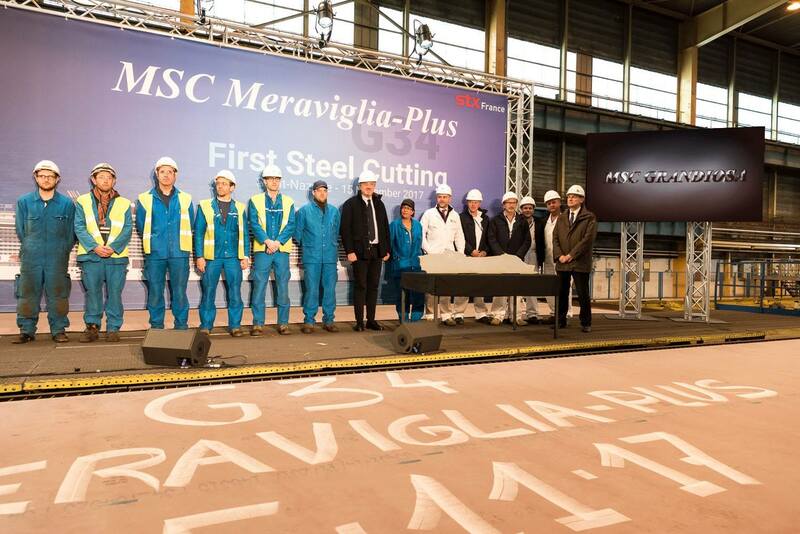 Besides, the cruise line celebrated steel cutting for the 1st representative of the Meraviglia-plus class of cruise liners. The ship will get the name of MSC Grandiosa! Sounds romantic! Amazing Bellissima and fantastic Grandiosa are expected to begin operations in March 2019 and November 2019, respectively. We remind you that the cruise world caught its breath waiting for MSC Seaside that will enter service already in December 2017. Besides, innovative MSC Seaview is going to join the company’s fleet in June 2018. The cruise line’s plans are impressive, aren’t they! We can’t wait to see each of these beautiful ships! Meanwhile, let’s check a video from the ceremony via this link.